Located in the southeastern corner of British Columbia, in the traditional territory of the Ktunaxa Nation, College of the Rockies has been providing post-secondary education and training in the East Kootenay region since 1975. Each year, College of the Rockies delivers instruction to approximately 10,000 learners in a full range of programs. The main campus and Gold Creek campus are located in Cranbrook, with regional campuses in Creston, Golden, Invermere, Kimberley, and Fernie. The College draws inspiration from the BC Rocky Mountain location and offers programming and a lifestyle that embodies the unique geography, while creating pathways to further post-secondary education. Reporting to the President of the College, the Executive Director, Communications and Marketing, provides leadership to a team of communications and marketing professionals, in the creation and implementation of proactive communications and marketing plans and strategies to enhance the College’s reputation and overall performance. 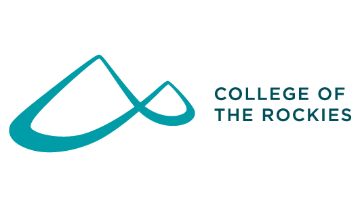 The Executive Director is a member of the senior management leadership team (President’s Council) and is responsible for advancing public awareness of the impact the College of the Rockies plays in post-secondary education in the East Kootenay region, the province of BC, nationally and globally. Decisions made by the Executive Director are instrumental in determining the success of building the College brand and reputation and in ultimately advancing the perception of the College’s vital role in the educational well being and economic health of the region and its residents. The successful candidate will have a related undergraduate degree accompanied by ten (10) years of progressive experience in public and community relations, communications and marketing. A Master’s Degree is preferred, as is experience working within the post-secondary education environment. Recent demonstrated experience as a successful strategic public relations leader operating at a senior management level for a minimum of three (3) years is also ideal. The successful candidate will have the ability to develop collaborative and consultative relationships with both internal and external stakeholders who are critical to this portfolio. Successful candidates will be required to complete a Criminal Record Check. Should you be interested in learning more about this leadership opportunity please contact Paul Phillips or forward your resume, a letter of introduction and the names and contact information for three referees, in confidence, to info@hwest.ca. We will respond to all who express interest.